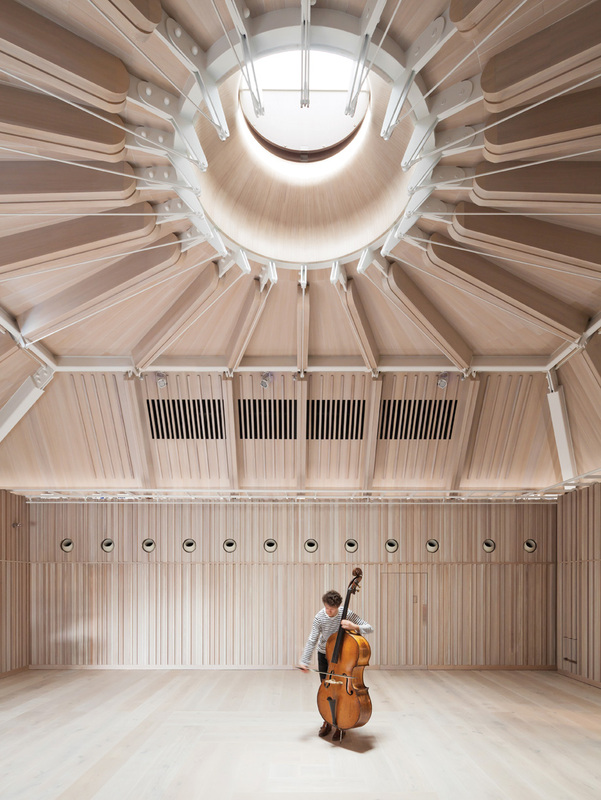 The oak-lined addition to London’s Royal Academy of Music is an ode to wood and the elegance of string instruments. 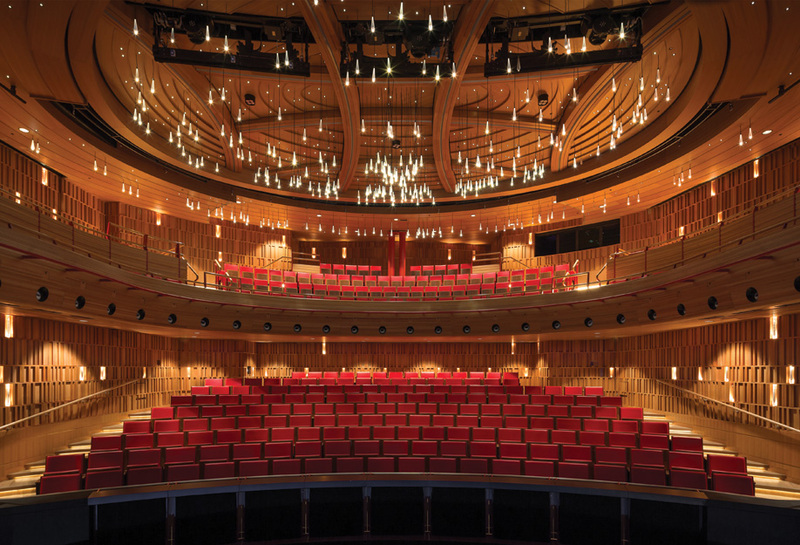 When it came to stripping away the seventies-era trappings of the Royal Academy of Music’s main theatre last year, London-based Ian Ritchie Architects can safely be said to have hit all the right notes. 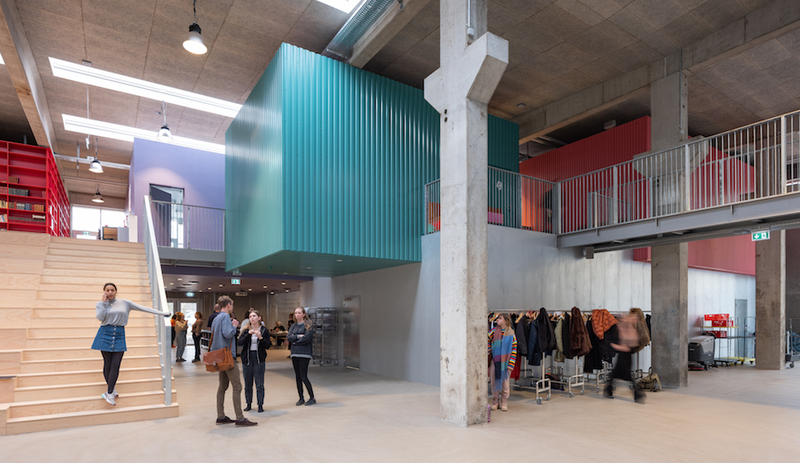 During the feasibility studies to determine what kind of structural alterations might be necessary, the firm identified an especially exciting possibility: A second, six-metre-tall performance space could be introduced on the rooftop. The challenge then became to ensure that this new, 100-seat recital hall and the freshly transformed, 309-seat Susie Sainsbury Theatre below it would be acoustically independent. To that end, each of the upper venue’s steel columns rests on an elastomeric isolation bearing, while the hall’s base slab is buffered from the theatre’s ceiling slab by a 30-centimetre void. 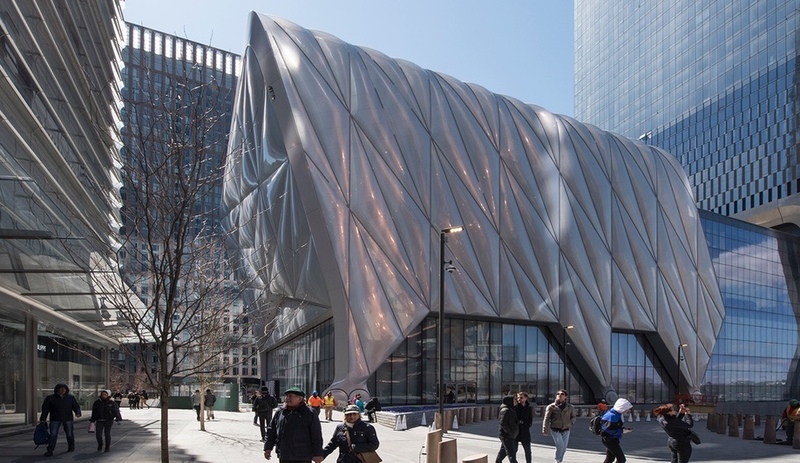 “You can record a performance going on in the recital hall and not pick up any of the opera that’s being performed downstairs,” says the project’s lead architect, Brian Heron. 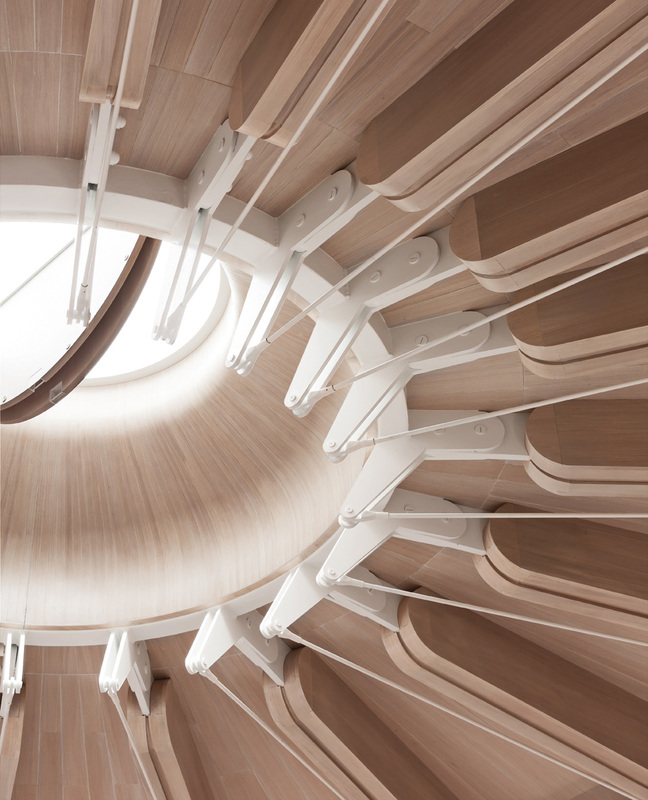 The rooftop venue’s oculus was devised to reflect sound, light and warmth while highlighting the poetic transformations that wood undergoes during instrument assembly. 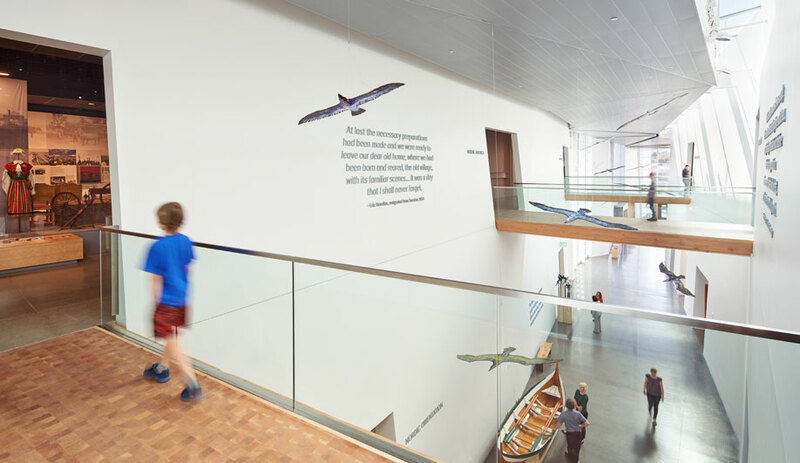 The high ceiling and sloping walls contribute to both reverberance and a stately sense of place. Nonetheless, the upstairs venue does have one moment of sweeping grandiosity: a central oculus that draws inspiration from the manufacturing and tuning of Stradivarius instruments. While the design features a highly complex ogee curve, the joinery pros at James Johnson & Co proved up to the manufacturing challenge. 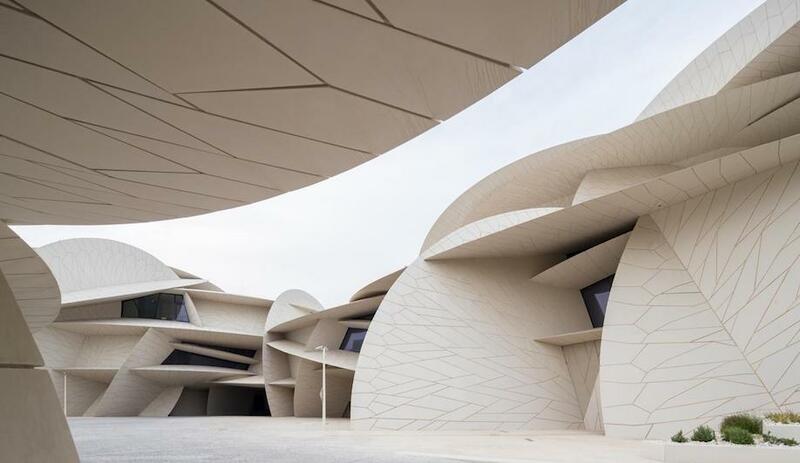 By cutting thin, tapering strips of oak and then bending, gluing and pinning each one into place on frameworks, Johnson’s team was able to break the grand structure down into four manageable prefabricated sections. After prototypes were tested for performance in an acoustics lab, the final pieces were fitted together on-site and raised into place below the roof’s glazed opening. 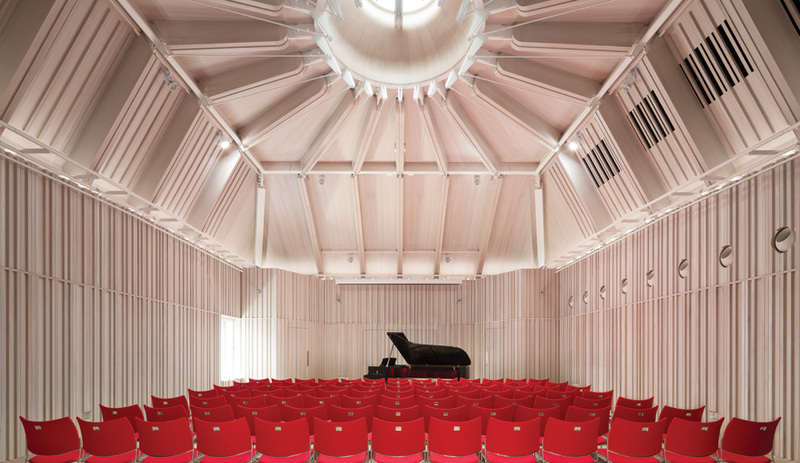 Stunning even in silence – but at its best, naturally, during a performance – the recital hall is the unexpected second venue the Royal Academy of Music had never thought it could accommodate. In other words, it’s the ultimate bonus track.